The Fundação da Faculdade de Ciências da Universidade de Lisboa, FP (FCIENCIAS.ID) is a Public Foundation under Private Law, a non-profit organization, endowed with legal personality. FCIENCIAS.ID was created in 1993 as an initiative of the Faculdade de Ciências da Universidade de Lisboa (FCUL) to promote and facilitate scientific research, technology and development services to society, and to organize qualified human resources training and consulting expertise and knowledge dissemination. FCIENCIAS.ID acts as the legal front institution of multiple research units, from different scientific fields, carrying out research work and managing financial and administratively R&D projects. Currently, FCIENCIAS.ID manages over 400 projects and implements a professional (and constantly audited) management of around 20 research units, in the fields of Mathematics, Statistics and Operational Research, Physics, Chemistry and Biochemistry, Geology, Geophysics, Space, Astronomy, Biology, Computer Science and Informatics, Education Sciences and Philosophy and History of Sciences. Many of these R&D activities are developed together with international teams and are funded both at National and European levels. 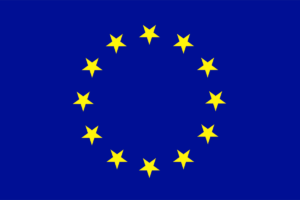 At European level FCIENCIAS.ID has the experience of managing circa one hundred EU FP6, FP7 and H2020 projects. FCUL acts as a third party in those R&D projects based on a scientific agreement in force since the FCIENCIAS.ID establishment. The third party carries out part of the work directly and FCIENCIAS.ID is responsible for part of the scientific and technical work as well.